“One of the best things I’ve ever done! Experience the adventure of sailing around a World Heritage listed region. Lush tropical islands, turquoise waters and pristine beaches will be your view, the sound of water racing past will be all you can hear and scrumptious meals being prepared will be all you can smell. This is all a part of the adventure of sailing. Join in and help the crew or sit back relax and let them take you to destinations that will delight your senses. Whitsundays Sailing Adventures accommodates the demand for scuba diving with our live aboard sailing vessel Kiana. Sheltered coral reefs, challenging swim throughs, massive coral structures and overhangs with amazing fish tropical life, turtles, mantarays and gropers. The Whitsunday Islands are a snorkelling paradise with coral gardens, warm crystal blue waters that are clear enough to see every subtle colour on coral or a fish's tail. The Whitsundays would have to be one of the world’s most ideal paddling playgrounds. Experience a unique guided kayak adventure with a ECO friendly exploration of the islands as you glide quietly into hidden inlets or secluded beaches. The Whitsundays consists of 74 islands - only eight of which are inhabited. They are surrounded by one of the world’s seven natural wonders, the Great Barrier Reef. This magic region will have you spellbound - pristine beaches, lush rain forests and dazzling waterways, in fact there are so many reasons why the Whitsundays is known as one of the greatest aquatic playgrounds on earth. Your sailing adventure in the Whitsunday Islands of the Great Barrier Reef will probably be a once in a lifetime experience, so go on and spoil yourself with a private double cabin on one of our large, comfortable, well appointed yachts. Dreaming of an Exotic Vacation? 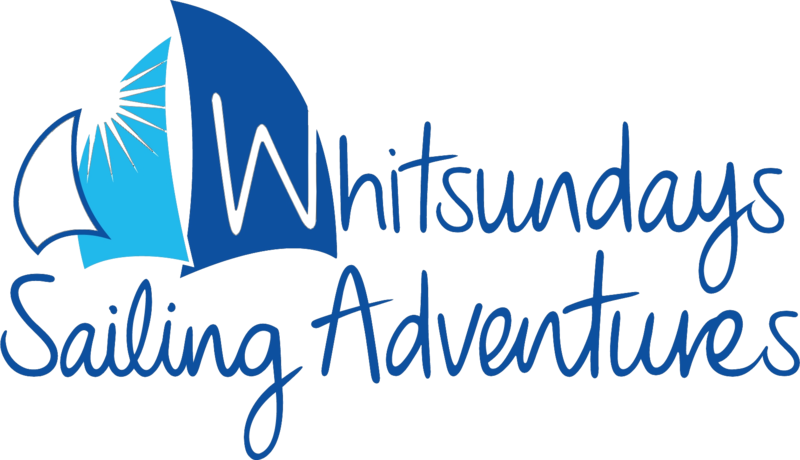 Try Sailing Whitsunday or Diving the Whitsundays! Is there anything that a day in the great blue outdoors cannot cure? How many summer mornings have you wished you could be out sailing instead of doing absolutely anything else? The Whitsunday Island is the ideal location to do just that! Whitsundays is a group of islands a little off the coast of Queensland. It is approximately nine hundred kilometers from Brisbane. The Whitsunday islands is believed to have been named after the Whitsunday passage that was discovered by Captain Cook. It is a popular destination among tourists that travel to see the Great Barrier Reef and Queensland. Whitsunday is also one of the most popular destinations for yachting in the south. We all need an escape from routine every now and then. If you are a sailing enthusiast or even if you just want to try it out, Whitsundays sailing is meant for you! Experience the uncontaminated islands at Whitsundays, bask in the glory of the great sun and breathe in the pure fresh air. Give yourself a much needed therapy session (nature style) amongst these gorgeous islands. The Whitsunday islands are a group of remote islands that are yet unharmed by human interference. It is due to this lack of contact with humans that these islands remain preserved in almost their original pristine glory. The Great Barrier Reef, which is one of the eight wonders of the world, still thrives in this beautiful ecological zone. If you are a fan of sailing Whitsundays, then Whitsundays is the place for you. These beautiful islands offer the most scenic and adventurous spots to create the perfect vacation for you and your loved ones. Lift up your spirits, enjoy a little sea and let that adrenaline rush through you as you participate in our Whitsunday sailing holiday packages. You can choose between diving, snorkeling, kayaking, sailing or just a good old exploration adventure. This Tour is designed for guests who want an action-packed fun Whitsunday experience with young like minded travellers. Take the helm or sit back and relax. Set sail on the adventure of a lifetime on a Multi Award Winning Tall Ship. Get involved and help sail a real Aussie Tall Ship and experience the romance of sail. A cruise is a great way to relax and unwind. Experience the natural wonders of the Whitsundays as our Eco accredited tours sail you around the islands of the Great Barrier Reef Marine Park. Enjoy sailing around the tropical waters of the Whitsunday Islands with other free independent spirits. These tours are aimed at the 18 – 35 (or young at heart) traveller. Go on, spoil yourself and indulge. Only eight guests in four private cabins all fully air-conditioned with en-suites. Sail and Dive the Outer Great Barrier Reef and Whitsunday Islands. This trip offers great opportunities for both certified divers and first timers. At Whitsundays Sailing Adventures scuba diving, snorkeling, kayaking, sailing or just some time out in the midst of nature, are just some of the things that we offer to you. Bathe in the comforts offered by our crew, get pampered while you relax on the decks or learn how to dive with experts. Whether you are in a group or alone, at Sailing Whitsundays Adventures we offer you some of the most scenic tours to make the holiday worth your while. Our aim is to make your experience the best one and help you along the way to creating memories for life. Sailing Whitsundays Adventures has created a number of tour packages that offer a combination of facilities and activities to match your desires. Enjoy the Romance of the blue seas and the underwater majesty of the Great Barrier Reef. Bring your friends out to Whitehaven beach and let the fun begin! So bring on the swimsuits and sun-block and let the party begin! Whitsundays Sailing Adventures offers the most diverse range of quality crewed sailing, snorkelling and scuba diving adventure holidays in the Great Barrier Reef Marine Park. Our fleet of Owner Operated vessels have a high focus on standards, fantastic food, personalised service and a truly individual and unique experience. We have a variety of tours, whether it be a full day trip or overnight sailing experience on a 2 day 1 night, 2 day 2 night or 3 day 2 night vessel there are plenty of choices available, or you can spoil yourself with a bit of diversity and combine two cruises together for a more unique experience. © 2018 Whitsundays Sailing Adventures.com Limited. All Rights Reserved.